Immersive Nights presents more challenging gameplay by waking the player with random nightmares/ reasons when trying to restore health in the wilderness without the aid of a bedroll. A selection of random messages will be given depending on weather, location etc. Updated to include more varied messages in more locations. It may also spawn mobs to wake you up. 1. Will work with any mod that uses the BedStandard Script but does not change it. 2. 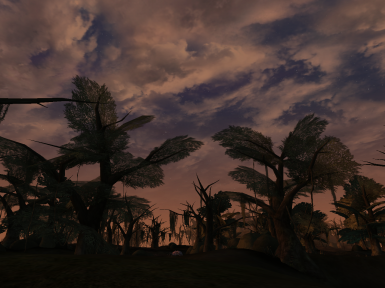 Compatible with Morrowind Rebirth 5. 3. It will not work with any new player made regions but that will also not cause any issues.